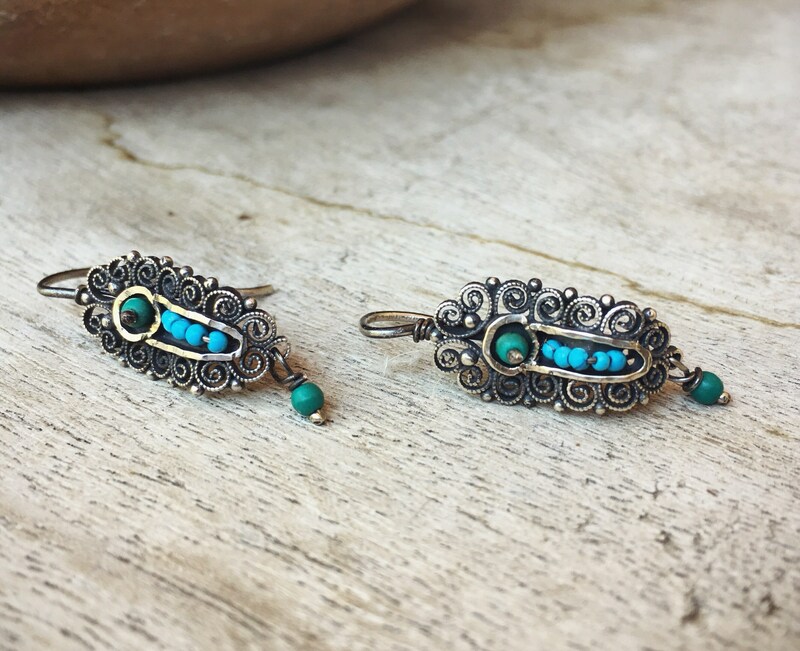 In Spanish the word "gusano" means "worm," which is the style of earring where you see small beads in a row, as if like a worm. 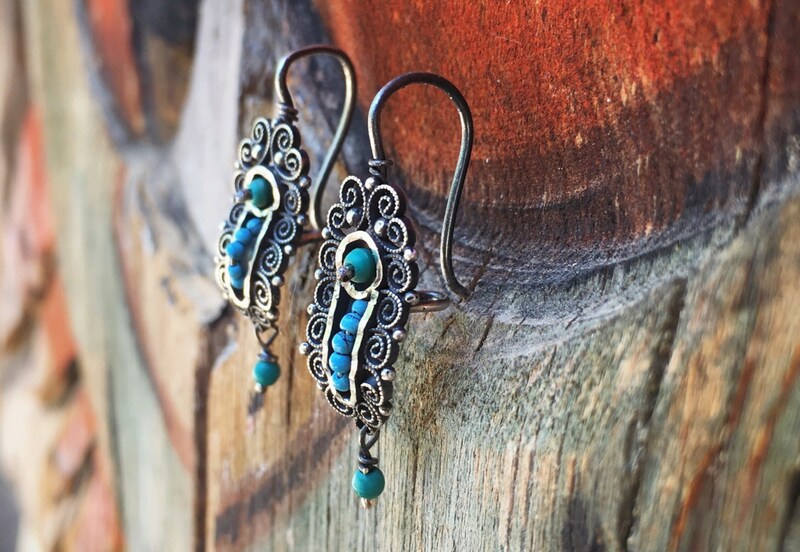 Which is a sort of strange thing to call earrings as beautiful as these, since they conjure images of anything but worms. 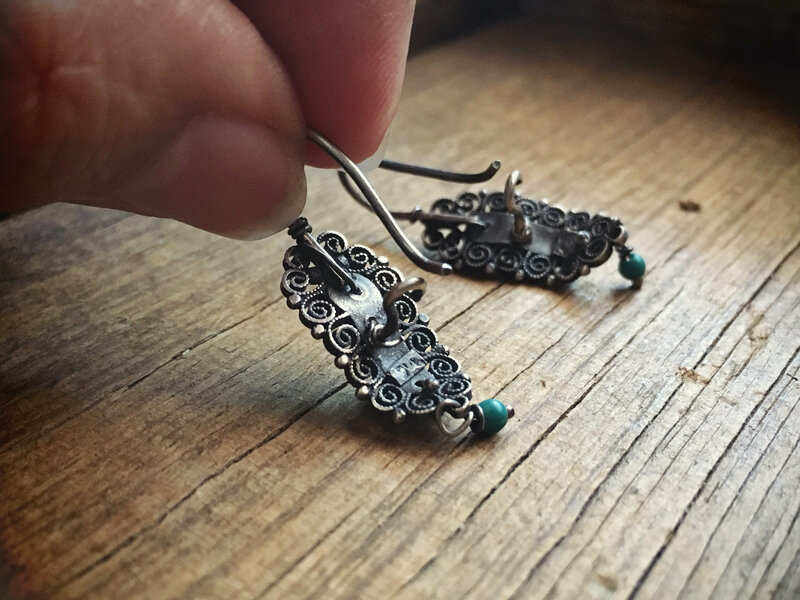 On the contrary, these earrings bring up images of understated elegance, modern rustic beauty, and bohemian style. 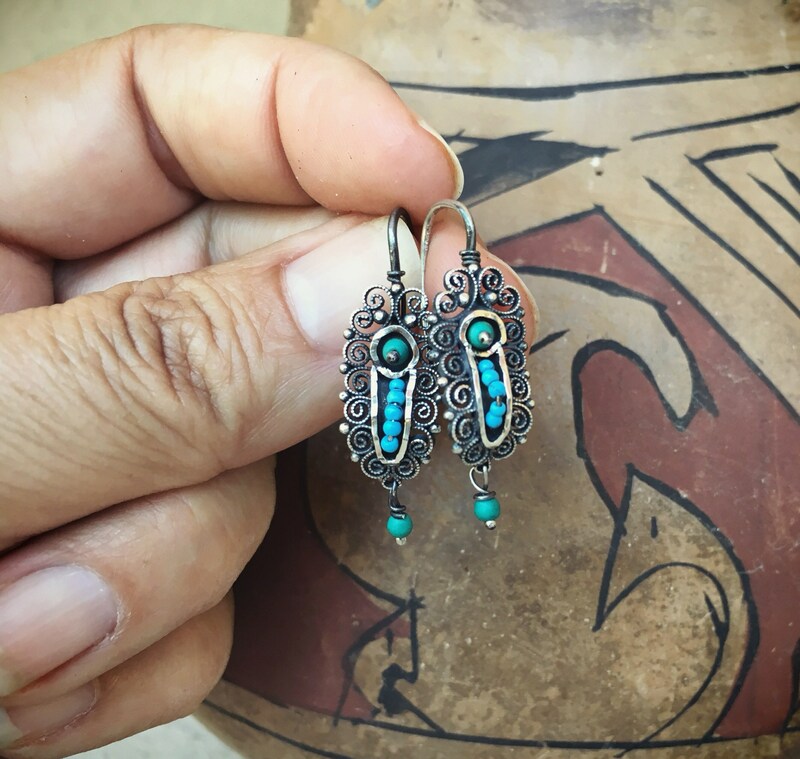 They hail from Oaxaca, and are in the style of artist Abel Juventino, although they are unsigned and carry only a 925 stamp. 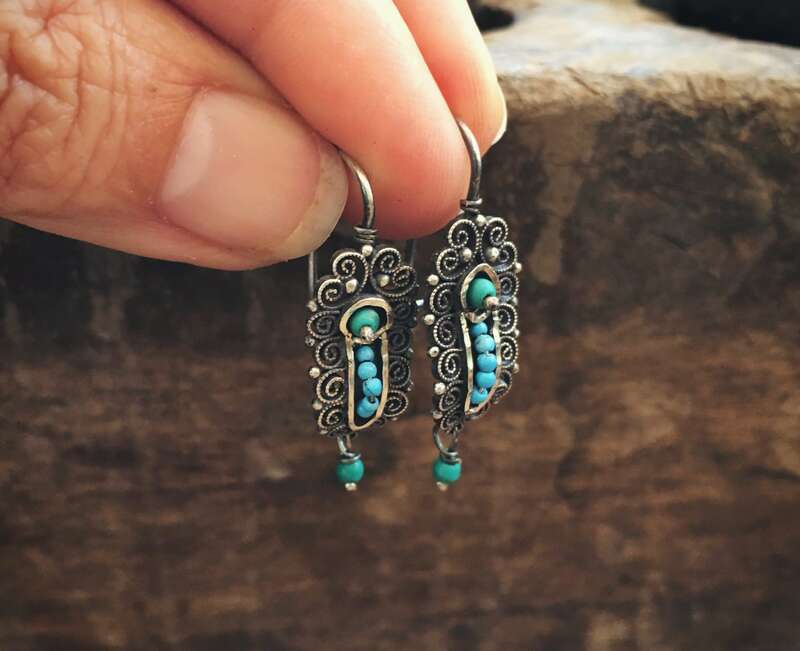 They feature one main section done in sterling silver filigree and with the beads going up the middle, and then one small bead dangling from the bottom. 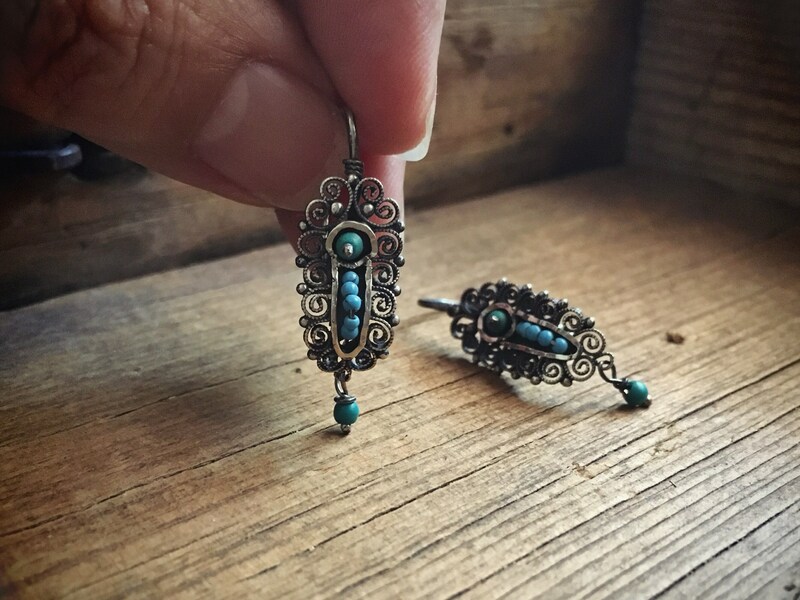 I have owned several pairs similar and even much more ornate and large. 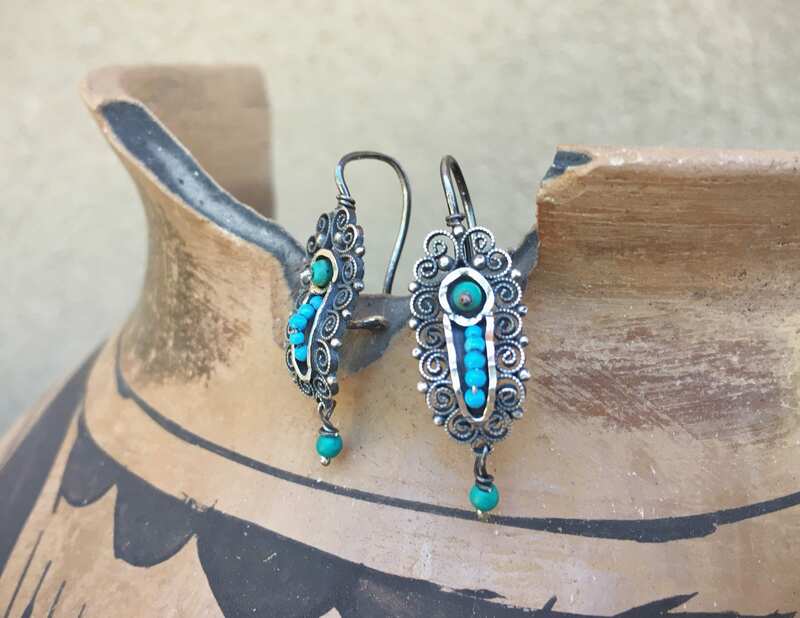 What I like about this pair is the smaller size, which looks great with shorter hair and lends exotic flair to someone who doesn't want a big earring. 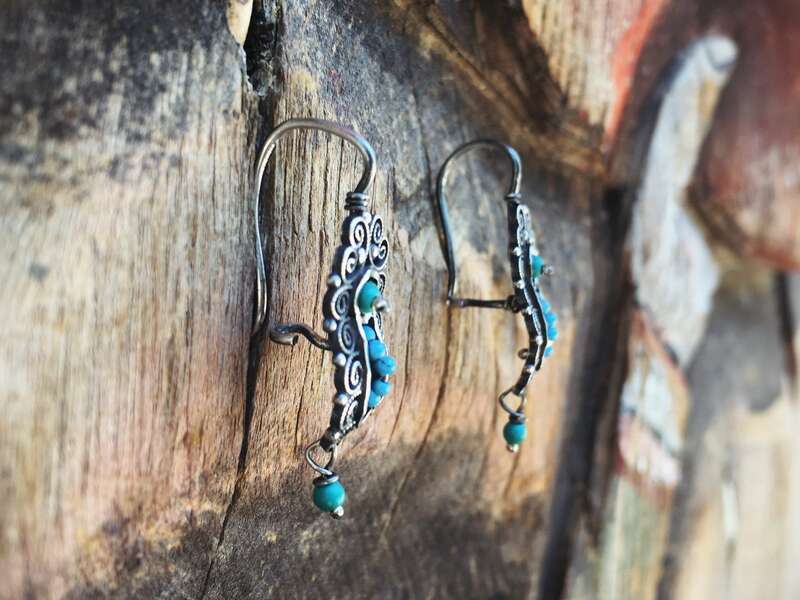 Total earring length is about 1-1/4" long including the hook just about 3/8" wide. 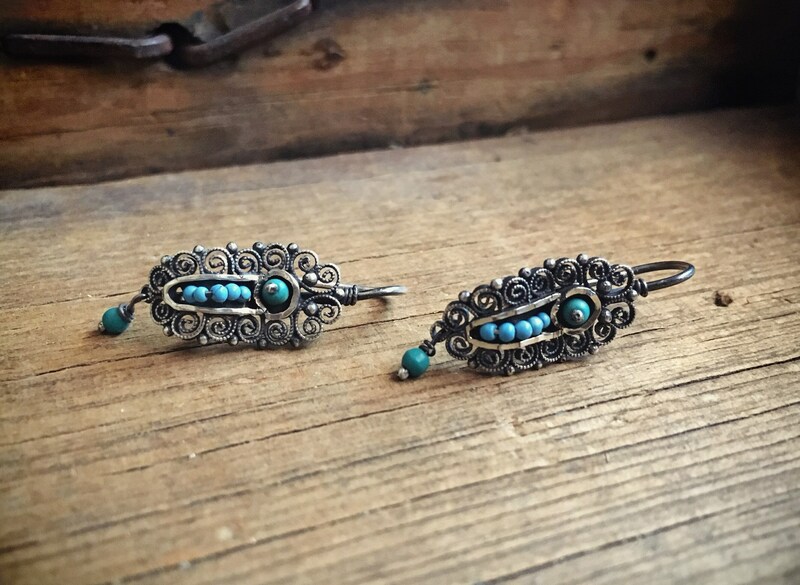 They are in great vintage condition, the patina gorgeous with just a bit of tarnish. 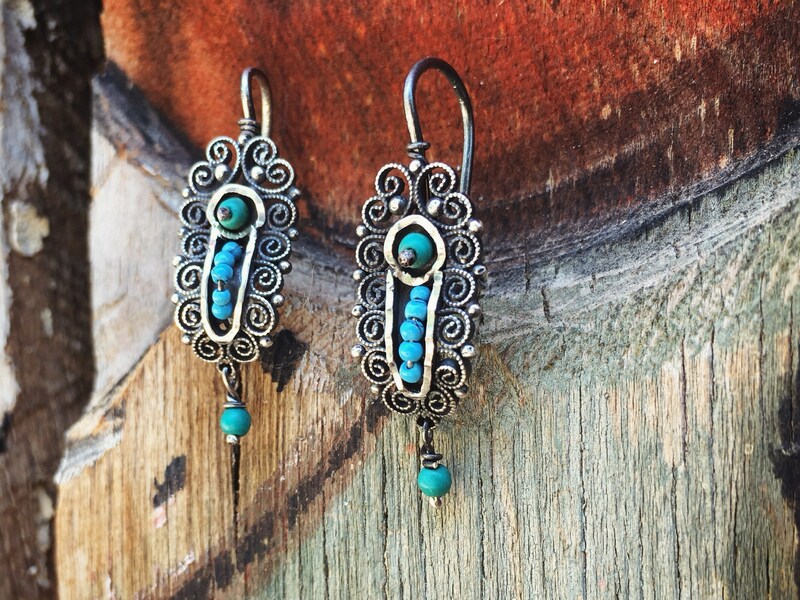 Because turquoise looks fabulous on any skin tone and is always in style.